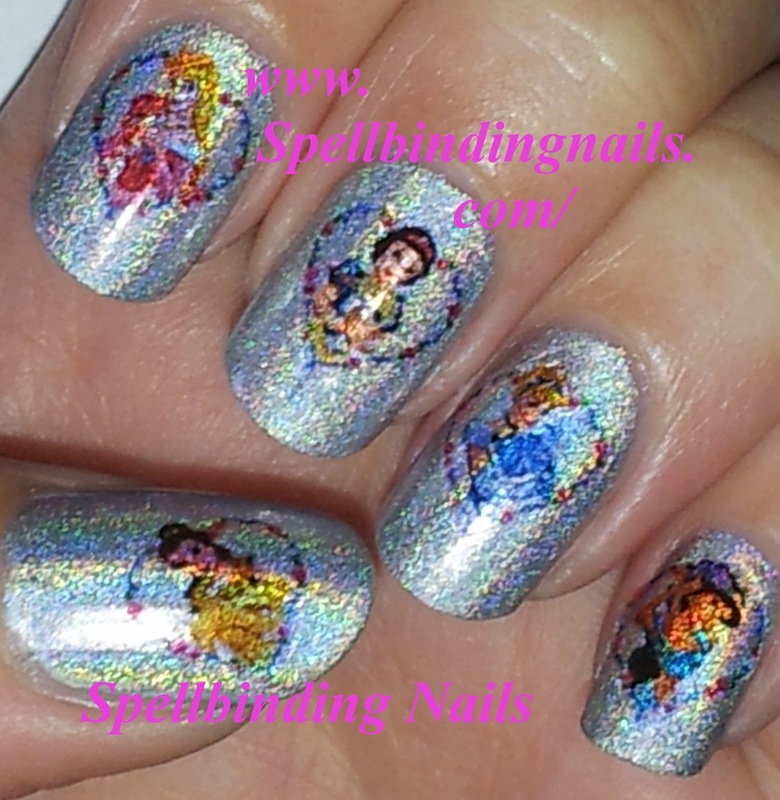 Last weeks 'Adventures In Stamping' challenge was to' Not Stamp '. - Nails Inc polish - Piccadilly Arcade . - Essence - Meet me now. I love Disney Movies! I grew up with them and will continue to grow up with them lol. Diana - for more Information see Here. Just look at this holo - Gosh's holographic is the best holo around in my opinion! returning at the beginning of August - in all Superdrug stores! (In the UK) - Yipee! 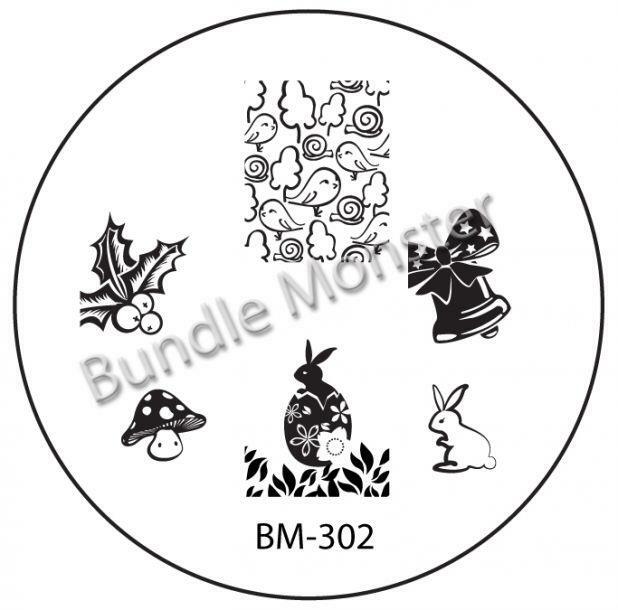 Here is an Easter treat from Bundle Monster - Enjoy! I'm in Love every image on this plate! Well-done Monster Bundle - this looks to be your best set yet! What do you think of my Manicure and the latest Monster Bundle tease? 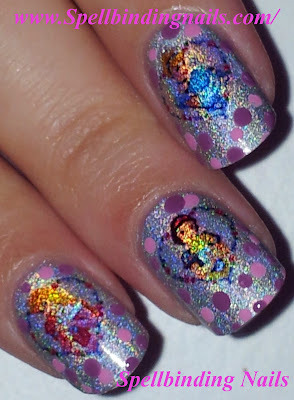 - How to apply Water Slide Nail Decals. Wow! There's a GOSH display in my hometown, maybe I should check it out in summer. Love your BM teasers. Konad doesn't seem to release that many plates or that interesting. As much as I love flowers and butterflies, they should get out of their comfort zone and try something else. 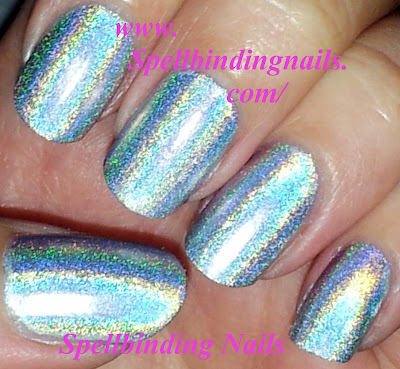 Oo *Fingers crossed* that Gosh Holo comes to your store! Im glad you like them - They are completely blowing my mind with each teaser they unleash. As much as I love konad...I agree, they really need to try harder. I love Q1 - they need to learn from the success of a fan plate and fast! those decals are so pretty! and thank you for the Gosh Holo heads up :D I hope I am able to get it this time! Np sweetie - Glad I could share the news. As soon as I see it - Im grabbing 8 bottles all for me lol. I hope the formula stays the same! Uhhh i hope Gosh Holo shows up in Lisbon! :) Those decals are something impressive! wow! This looks very unique and pretty! Great manicure and the Monster Bundle tease?= omg I want this set. Same - Im glued for more teaser and updates! OH PLEASE make sure you tell me when I can order these plates!!!!! I know you have the inside scoop! Love your mani! Still love these bling princesses :P & I neeeeeed to get a holographic polish so I'm excited to see it returning. I love everything on that plate too! 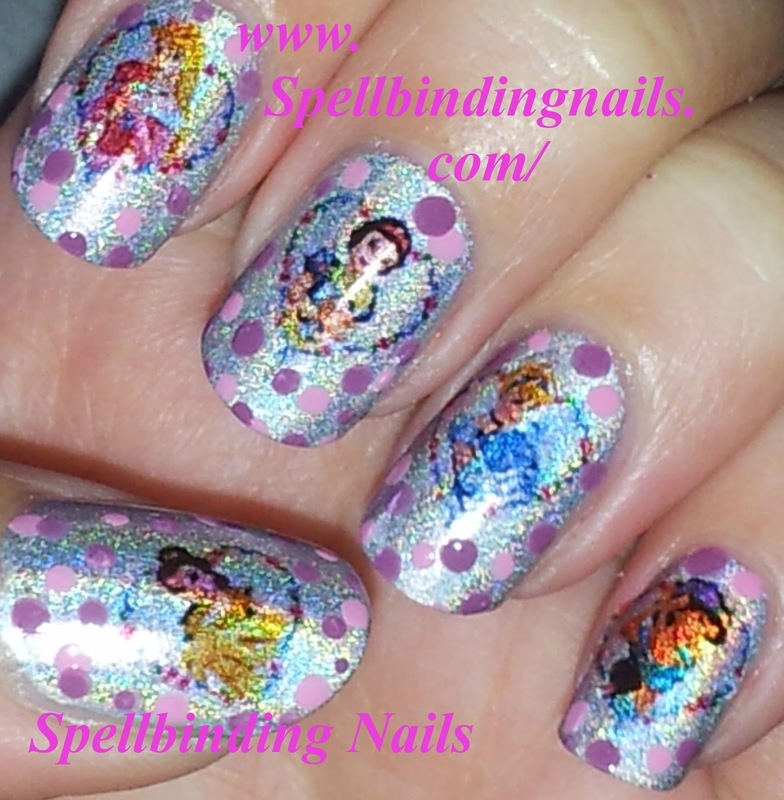 I hated removing the bling princesses - but at least it was quick and easy lol.